Dr. Tran grew up in San Gabriel (only 15-20 minutes away from where his practice is now) and is a Southern California native. His father is a dentist, and he spent plenty of time at the practice from a young age, which sparked his interest in dentistry early on. From there, it was an easy decision to choose this career path and start helping patients enjoy the numerous benefits that come from happier, healthier smiles. Today, Dr. Tran still works with his father in Rosemead a couple of days each week. The “dental” gene must run in the family – his sister is a practicing oral surgeon! 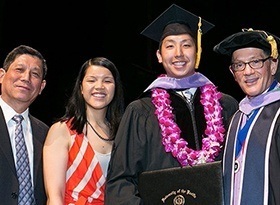 Dr. Tran’s college career started at the University of the Pacific, where he earned his Bachelor’s degree in Biological Sciences. 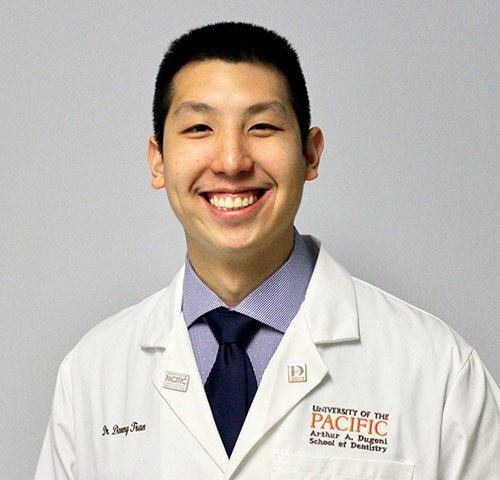 He then pursued his Doctor of Dental Surgery at the University of the Pacific Arthur A. Dugoni School of Dentistry, graduating with high honors. Today, Dr. Tran has been practicing since 2013. He is currently a member of the American Dental Association, the California Dental Association, and the San Gabriel Valley Dental Society, where he serves on the board. When you’re not busy at work, what do you like to do? Outside of his practice, Dr. Tran loves spending time in California’s nice weather. There’s always plenty of good food around to enjoy, and you can often find him playing basketball and tennis as well. He enjoys participating in community events and caring for people in need too.